AUSTIN, Texas -- June 27, 2017 -- FloSports, the innovator in live digital sports and original content, today announced a partnership with HOKA ONE ONE:registered: to bring the sport of running, and all of the world class athletes that compete in it, to the forefront. 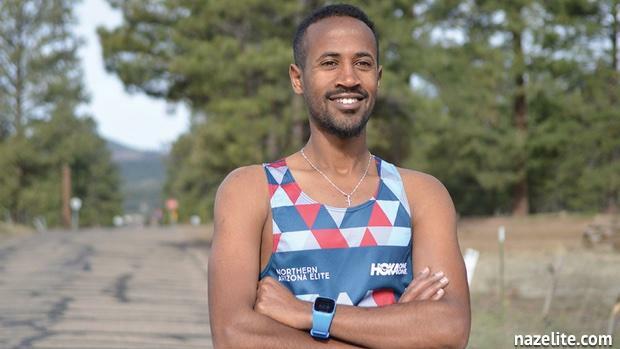 HOKA ONE ONE and FloSports will partner on more than 20 videos throughout the year that will include both long- form and short-form original video content, culminating with a feature film on Futsum Zienasellassie and his journey from post-college to world class runner. The videos will be released starting in June and run throughout the year on MileSpit and FloTrack. The partnership with HOKA ONE ONE will be centered around Futsum Zienasellassie and a never-before- seen look at the trials and tribulations of a world class runner transitioning from college to the professional ranks. While this story resonates with many sports and athletes, it has never focused on a track athlete. FloSports will go behind the scenes to capture the essence of what it takes for Zienasellassie to become one of the top professional runners in the world. The film will premiere in September 2017. In addition, the partnership will enable FloSports to showcase some of the best HOKA ONE ONE athletes through HOKA Hacks. HOKA Hacks will give unparalleled access to world-class athletes, who will offer their unique insights and tips on the sport, training, nutrition, and more. "The partnership with HOKA ONE ONE allows us to spotlight some of today's best runners and share their incredible achievements," FloSports co-founder and COO Mark Floreani said. "HOKA ONE ONE's elite athletes embody the strength and heart of the sport, and producing world class films empowers the athletes, the running community, and enhances the sport." "I am thankful to FloSports for their commitment to share my journey as a professional runner representing HOKA ONE ONE Northern Arizona Elite," Zienasellassie said. To access HOKA Hacks and the Zienasellassie feature film, visit MileSplit and FloTrack. In addition to the HOKA ONE ONE films, users can access premium running and track content, including technique videos, live streams of competitions, and interviews, by signing up to become monthly or annual FloPRO subscribers. FloSports, the innovator in live digital sports and original content, partners with event rights holders and governing bodies to unlock a world of sports coverage that true fans have been waiting for. Through live streaming of premier events, original video programming, and weekly studio shows, FloSports is growing the sports, the athletes and the fans. Current verticals under the FloSports header are Wrestling, Grappling, MMA, Elite Fitness, Softball, Tennis, Pro Wrestling, Gymnastics, Marching, Basketball, Volleyball, eSports, Racing, Rodeo, Rugby, Climbing, Swimming, Cheerleading, and Track. HOKA ONE ONE:registered: is the fastest growing premium running shoe brand in the world. Two life- long runners launched HOKA in 2009, after years spent handcrafting and shaping lightweight shoes with extra-thick midsoles. Initially embraced by ultrarunners because of their enhanced cushioning and inherent stability, HOKA now offers shoes for all types of athletes who enjoy the unique ride the shoes provide. For more information visit www.hokaoneone.com or follow @hokaoneone #hokaoneone.